When the first question a patient asks is "how much will my insurance pay," it becomes clear that our daily lives revolve around insurance. Learn to step out of that mindset and step into customer service, quality health care and, ultimately, a profitable practice. 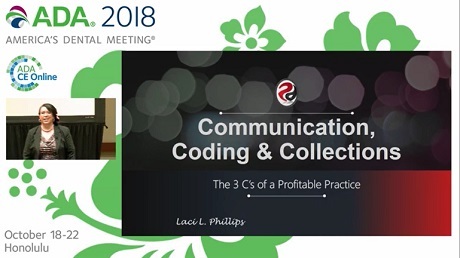 Discover how excellent communication, proper coding and above average collections can impact your practiceâ€™s efficiency and financial health. Walk out of this high-energy course feeling recharged.